Looking For A Venue To Hire In Bunbury? The BTC offers extensive range of facilities. 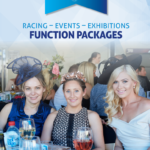 With 5 function rooms including a semi-permanent outdoor marquee, the BTC offers plenty of options for your next event, whether it is a seminar, workshop, conference, cocktail party or formal affair, consider the Bunbury Turf Club. 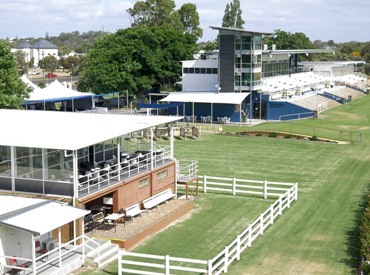 With great access, perimeter fencing (for ticketed events), heaps of parking and open space, and facilities to accommodate 2000 people, hold your next big event at the Bunbury Turf Club. See below for the wide variety of rooms available, and speak to our staff about hospitality options. Please contact our office on 9721 3444 to discuss options and availability for your big day! P.O.A. – Please contact our friendly staff on 9721 3444 for more information. 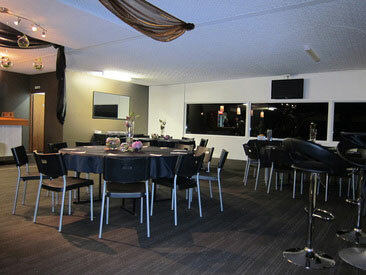 Flanagan’s Bar is the Bunbury Turf Club’s premium function room venue. The Flanagan’s Bar is ideal for both large sit-down and cocktail events with its open plan layout. The room is ideally suited to large conferences and corporate presentations. An adjoining function kitchen complete with a dumbwaiter is available for hire and allows for trouble-free catering at your event. Parking for functions at Flanagan’s Bar is made easy with nearby Members’ car park via Blair Street. Consider Flanagan’s Bar for your upcoming function (capacity 210). Flanagan’s Bar is becoming increasingly popular for wedding receptions; please contact our office on 9721 3444 to discuss options and availability for your big day! Room-hire starts from $440 per day. Please contact our friendly staff on 9721 3444 for more information. 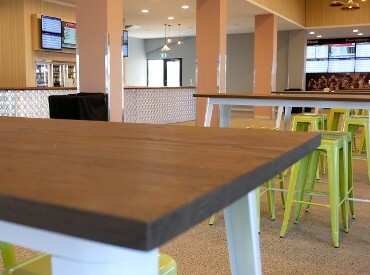 Located above the administration building of the Bunbury Turf Club the Rogan Josh Members Deck is suitable for celebratory events for up to 120 people. The Rogan Josh Members Deck would make a great setting for your next event. Situated above the main grandstand and complete with a kitchenette as well as bar and restroom facilities. The Heron Bridge Members’ lounge is suitable for up to 150 people and is wheelchair friendly with access to a nearby lift. The Diamond Chimes Marquee is located in the heart of the racing action. This space is ideal for traditional sit-down event or the more casual stand-up cocktail setting. The space offer an adjoining kitchen and exclusive amenities. The marquee is air conditioned, offers a PA/sound system and lighting. It’s a great neutral space that can be themed for your special event. 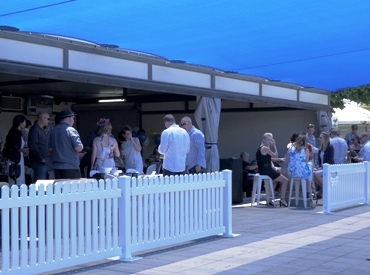 The Winning Post Bar is centrally located and offer access to the front lawn and an outdoor covered area. This space is ideal for your next big event and offers a touch of refinement after a recent renovation . The bar is adjoined by a kitchen with amenities only a short walk away. The space offers heating and cooling and an integrated PA/sound system.